This is a longer weekend starting Thursday evening but it is also possible to arrive Friday evening. 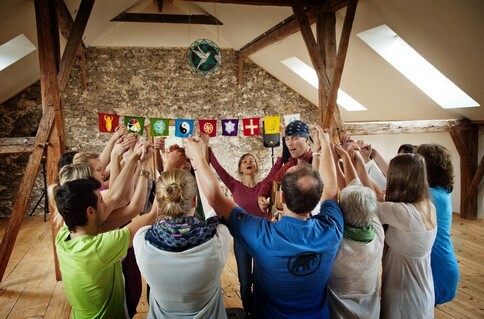 Mantra, melody and movement – what could be more beautiful than human beings expressing the living quality of life through singing and ﻿dancing ﻿together? There are some things in life so precious, so unspeakably beautiful that to touch upon them is to be changed forever. There are many practices and paths that serve to open the heart and silence the mind, but few of these are as accessible, joyful and immediate as these dances. 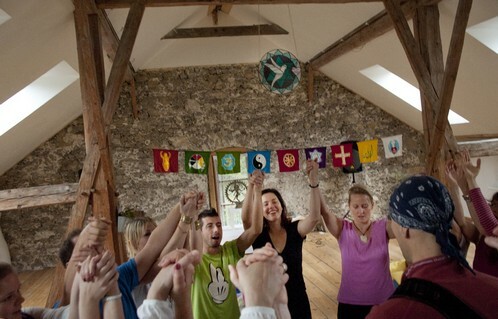 The dance movements – some of which have been used in spiritual body practices for millennia – are always simple, and most of the sacred phrases we will sing are no more than four or five words long. During this long weekend, we will move to and chant sacred phrases from several of the world’s spiritual traditions, including Buddhism, Hinduism, Judaism, Sikhism and of course Sufism. We will explore some of the words of Jesus, in his native language, Aramaic. 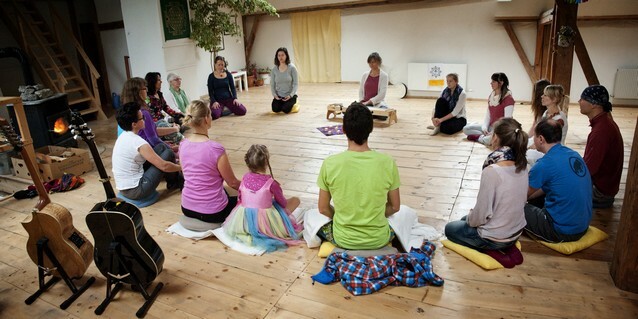 We will sometimes work with harmonies and also practice some sitting and walking meditations. Sufism has a long tradition of touching upon ﻿ecstatic states﻿ through shared practice with song and dance and there will be an evening devoted solely to this practice. Throughout the weekend the singing and dancing will be accompanied by live music. ​Times: Starts Thursday 15th November at 6pm with supper, ends Sunday 18th November at 4pm. The morning workshops will start at 10am and the evening workshops at 7.30pm. 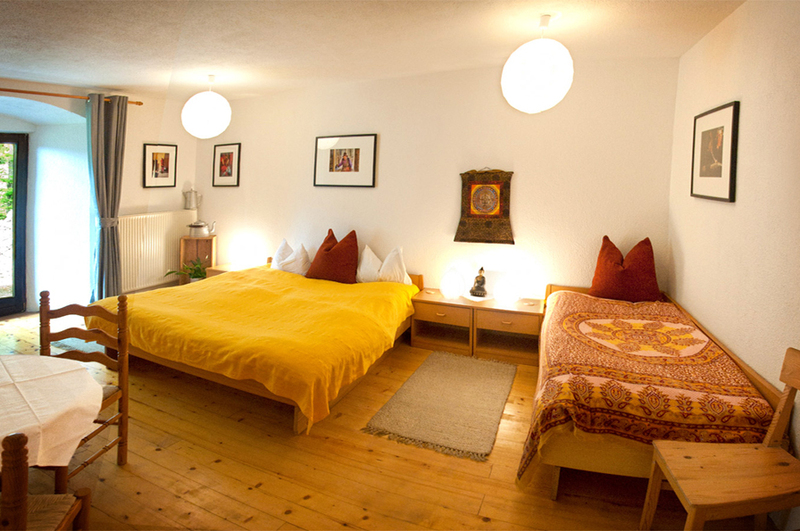 The above prices are based on sharing a room with twin or double beds. Private single rooms are available for a supplement of €15 per night. 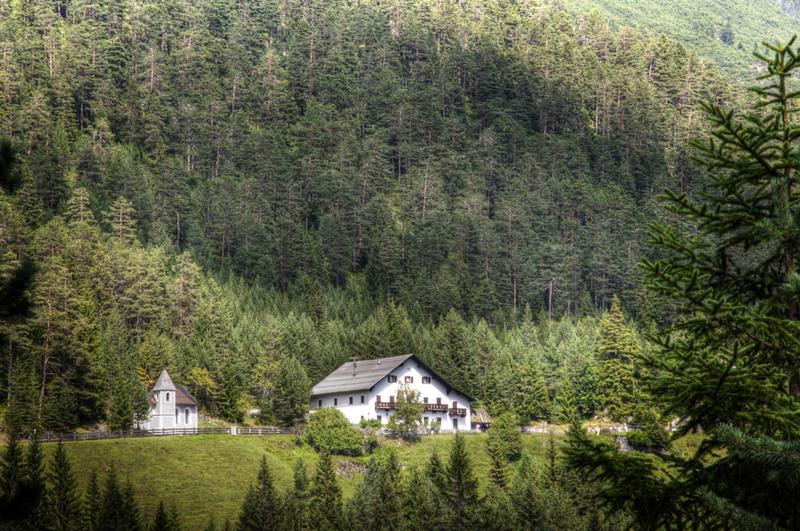 It is also possible to attend the workshop without staying overnight at AlpenRetreat – please see options presented in the Paypal dropdown menu below. Please select the option you want in the Paypal dropdown menu below to make a deposit/payment up to €100 (it is not necessary to have a Paypal account in order to make a payment). For options costing more than €100 you can make a deposit of €100 and pay the balance in November when you arrive at AlpenRetreat. ​For options costing under €100 please pay the full amount here. To secure your discount price simply make the deposit payment of €100 by the time indicated in the table using Paypal. ​After receipt of payment, we will send you a confirmation email. 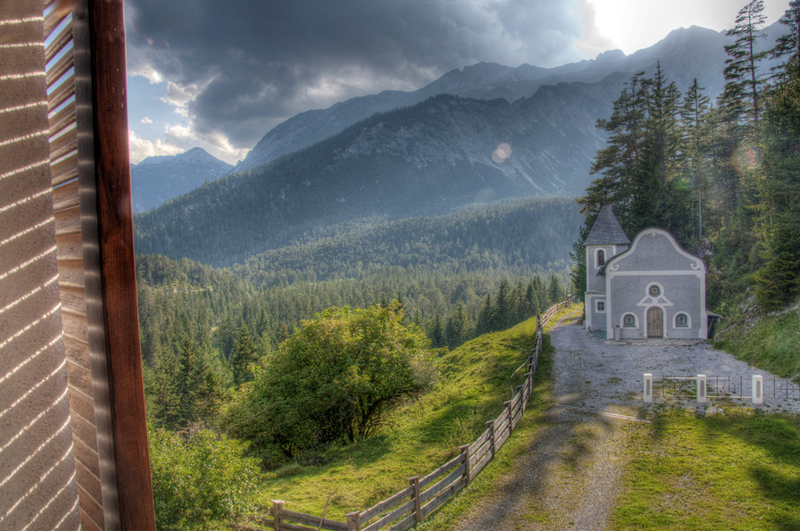 Sign up to the newsletter for Austria and stay informed of future events. The newsletter will normally be sent no more than two or three times a year and you can unsubscribe at any time.